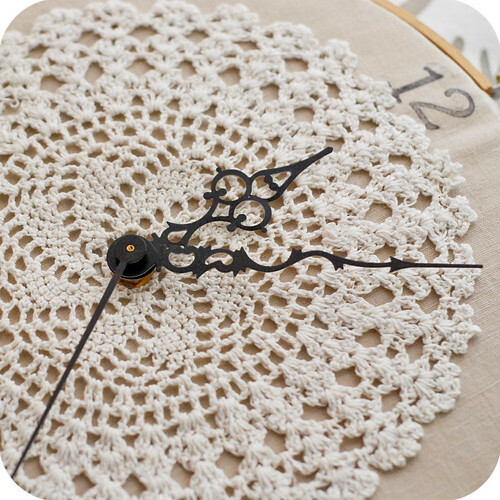 Here's a fairly simple way to make an embroidery hoop into a clock! If you've made the BellyButton Pillow, these directions differ a bit, so be sure to read all the way through! If you haven't made it, perhaps you need a pillow to match your clock?? 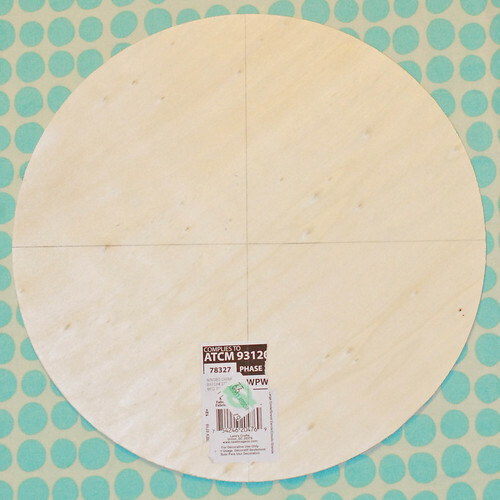 - 10" diameter wooden disk (mine was 1/8" thick, $0.99). I'm thinking you could also use chipboard of corrugated cardboard. Here's a website that has them for $1.19 each. 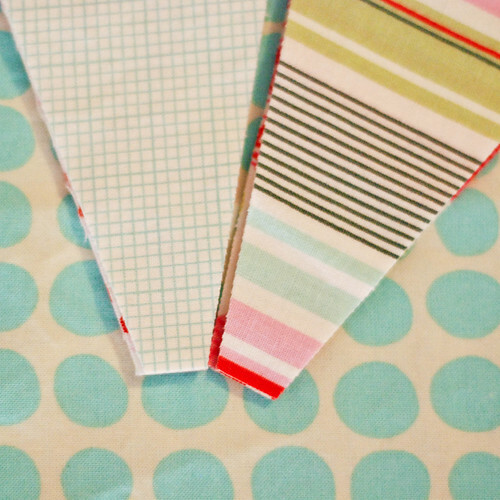 - fabric, sewing machine, scissors, etc. 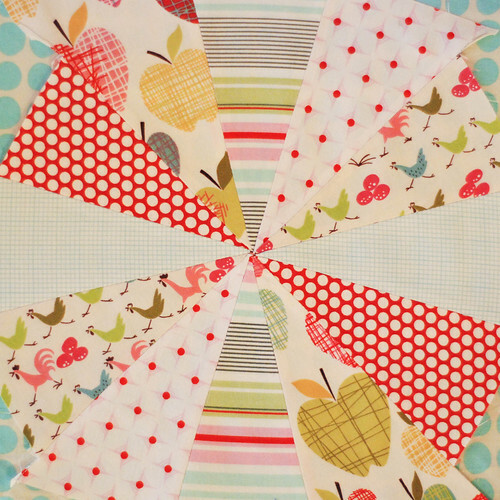 *ETA: Leah had a great idea about adding some quilting to the clock face. I would suggest getting a 3/8" clock kit to accommodate the extra thickness if you have much more than a single layer of fabric. 3. 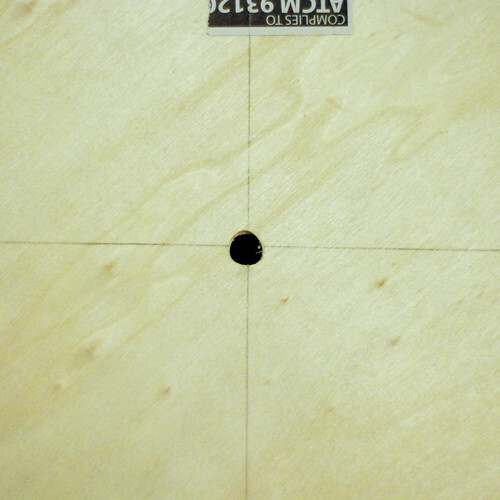 Drill a hole in the center of your disk. 4A. You could use a solid piece of fabric and embroider / embellish it. The fabric should be 12" diameter and the decorated area should be 10" diameter. Skip to step 12. 4B. If you want to piece the face, here's how I did mine. 5. Cut out 6 pieces that are approx. 4" x 7" and cut across the diagonal OR fussy cut 12 pieces at a 30 degree angle. I don't have a fancy 30 degree quilting ruler, I just used a 30/60/90 triangle left over from my Architecture days. 6. Now cut 1" off the tip of each. We need a hole in the middle at the end. 7. 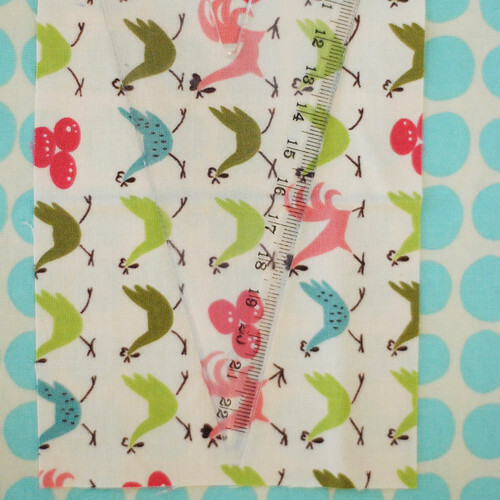 Sew together in pairs (6 pairs). Start at the cut off tip and make sure you backstitch here and sew toward the wider outside (no need to backstitch at the end). Press seams open. 8. Sew together in pairs again like last step (3 pairs). Press seams open. 9. Sew together 2 of the pairs, press seams open. 10. Sew one side of the last piece in. Press seams open. Then sew the other side to complete the circle. 11. Give it a good STEAMY press. 12. 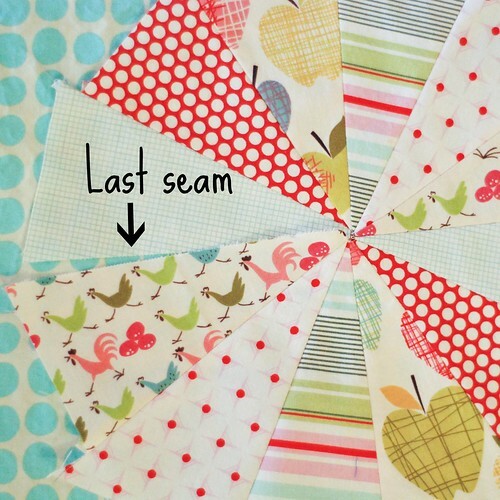 Align the center of your fabric and the disk and trace the disk onto the back side of your fabric. 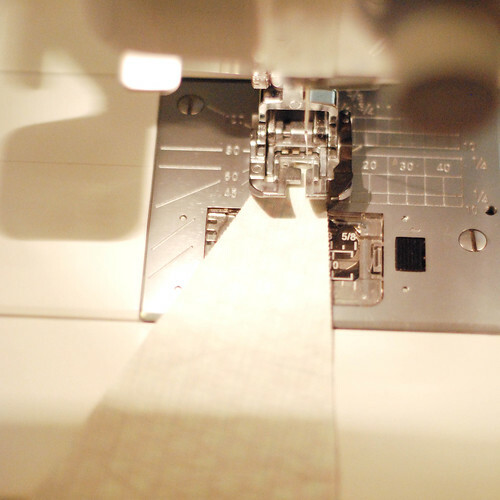 You can embroider numbers or a design if you wish, or skip this step. 13. Spread glue around the outside of the inner embroidery hoop ring (the one that's glued to the disk). 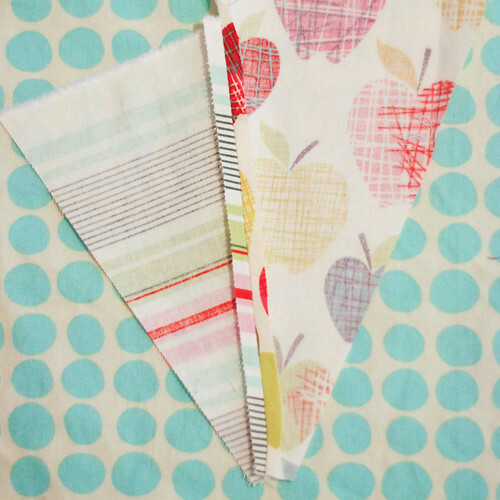 Lay your fabric down on the face, aligning the center, then place the outside of the embroidery hoop around it. Pull the fabric taut and trim the back. 14. Install the clock mechanism as directed. DONE! Here's another finished one. It was tight with the 1/4" clock on this one and I probably should have gone up to the 3/8". Great tute!! I made one for the Scrappy hoops swap last round (with an embroidered face) and used heavy weight fusible Tim Tex for the back stabilizer, which worked very well. Where did you find the wooden disc? super cute! somehow I don't think this made it into my reader yesterday! sad!! Love this ALi! Love this! Great idea for all those cute hoops I've been seeing! BRILLIANT! 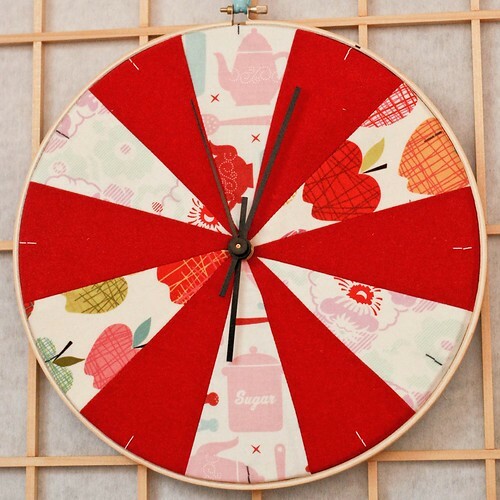 I've wanted a quilted clock for ever... the hoop is a great way! 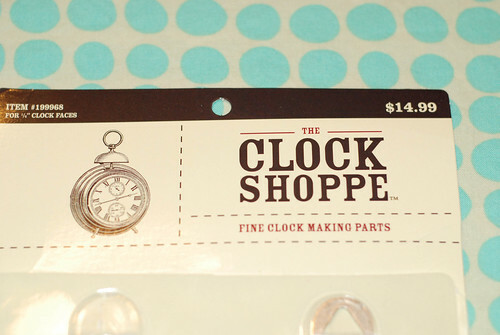 Fortunately, my husband owns a hobby store and has all the clock parts. : )!!! Awesome! I thought I loved the pieced ones so much, but the doily with stamped numbers is so creative and fresh! Thanks for the tutorial. Wonderful idea and tute. Thanks for sharing it. I love your clock. So creative. Thanks for the tutorial. Ali i finally have all the parts and pieces and hubby drilled the hole into my disk yesterday!!! Totally coming home early from work so i can make this today!!! The design of your hoop clock is really nice. Are there any other cheap materials that I can use to create one? 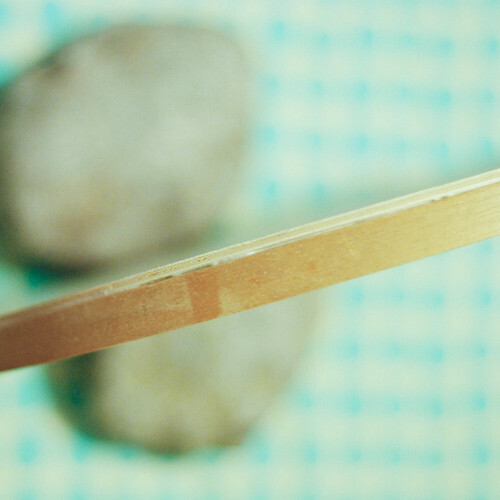 White glue will rot the wood over time. Wood glue is a better choice.